When the team at Little Meadows nursery in Quedgeley, Gloucester were landscaping new gardens, they needed good drainage solutions that were also suitable for young children. A call to Drainage Superstore meant they were able to access information and advice about the right products for the job. Turrou Landesmann, Store Manager at Drainage Superstore, said: “We were pleased to recommend DuPont’s GroundGrid gravel guard, a stable and permeable product that is often used on gravel pathways and driveways. “As a father myself, I know that small kids love kicking gravel around, which means it can get everywhere, impacting on the efficiency of the drainage system. But GroundGrid gravel guard keeps the gravel inside the cells where it is supposed to be. GroundGrid is exclusive to Drainage Superstore. It’s a honeycomb structure manufactured from thermally bonded fabric. It doesn’t move, sink or disperse, keeping areas looking fresh and full. 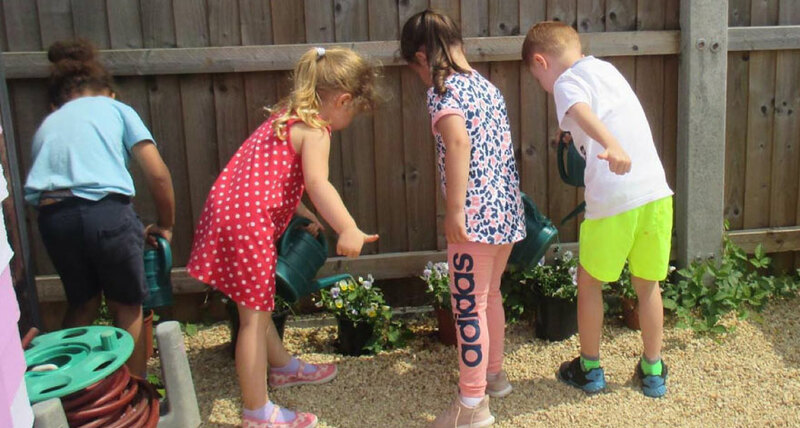 Little Meadow Group nursey created an all-weather, all-inclusive growing area and orchard so that children can grow and pick their own fruit for snack time. All the nursery staff, friends and family worked tirelessly to complete the project in one weekend. Construction Materials Online is the parent brand of three online retailers of construction materials: Roofing Superstore, Drainage Superstore and Insulation Superstore. Find out how the CMO Community Fund could help your project get off the ground.